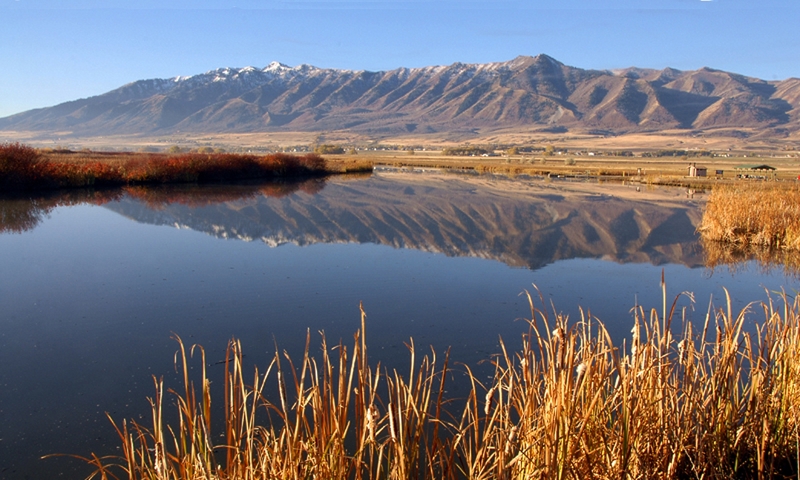 The upcoming winter Olympics in Sochi bring back fond memories of Utah’s stint as host of the winter games. You may recall that “Powder,” a playful snowshoe hare was among Salt Lake City’s three Olympic mascots. Powder represented “faster” in the Olympic triumvirate (try-um-virate) motto of “Citius, Altius, Fortius” (or Faster, Higher Stronger). And the little snowshoe hare needs to be fast. 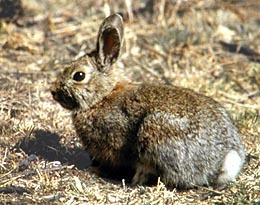 For according to USU wildlife biologist Dustin Ranglack Snowshoe hares are the Snickers bars of the forest. 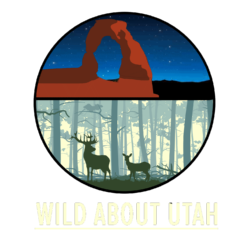 They’re a popular treat for a host of carnivores, including coyotes, foxes, lynx, bobcats, bears and birds of prey. Hares are fast in general. They can reach 40 miles per hour, and can leap more than ten feet (three meters). But this hare has extra-large, wide feet with more fur and larger toes. Like permanent snowshoes, these feet are ideally suited for racing from predators in deep mountain snow. 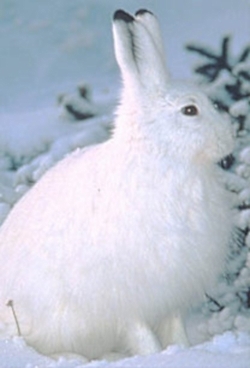 In spite of its speed, the snowshoe hare’s best mechanism of defense is camouflage. In winter, its soft, fine fur turns white to blend into the snowy terrain. As spring thaws the wintry landscape, the hare’s fur turns brown or reddish-brown to help it elude predators. Only the tips of the ears remain dark throughout the year. Scientists have observed that climate change may affect the survival of animals that undergo seasonal coat color changes. For example, with a shortened winter, a white-coated snowshoe hare is a sitting duck on brown earth in full view of ravenous predators. But interestingly there is already a lot of variability in the timing of individual hares camouflaged coat. Amount of sunlight may start the color change in a snowshoe hare population. But once the process starts, the timing of full coat transformation — which can take up to two months — is unique. Perhaps this is due to the fact that—even before climate change– there was always been some variability in the onset of winter snow cover. Anyway, this variability in color change gives scientists hope that the snowshoe hare will be able to adapt its timing to seasonal changes in the future.